It is well enough known that the hood of the cope was originally a functional hood that could be used to protect the cleric from the outer elements. 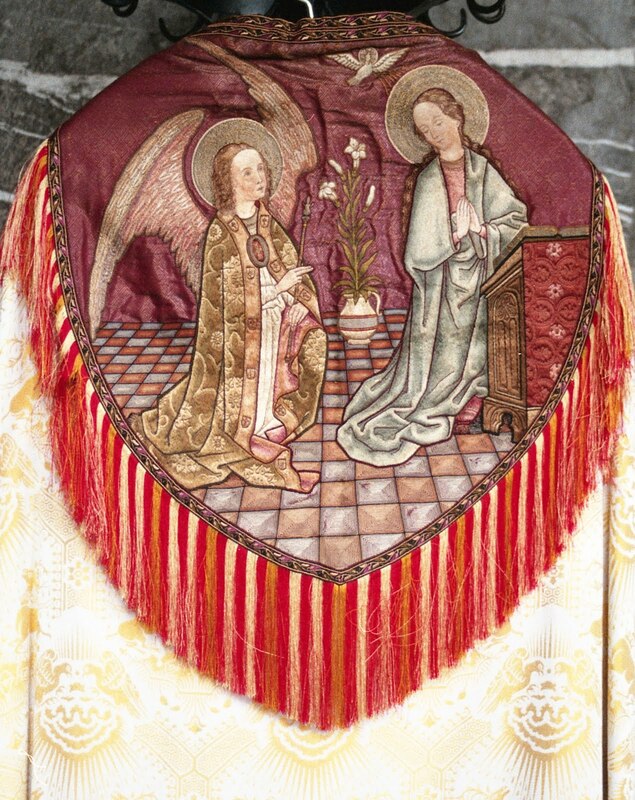 As the function of cope broadened from an outer protective vestment, the hood gradually became a more ornamental and less functional part of the vestment. 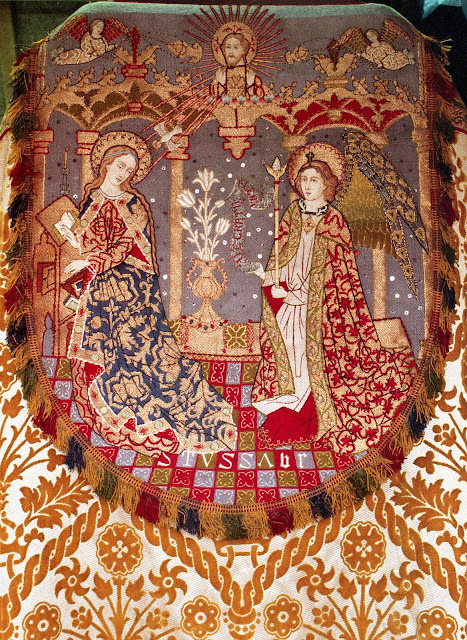 In many instances this is manifest primarily through decorative embroideries but in some instances these took the form of much more involved figurative scenes that could be utilized to represent the lives of the saints, of Christ or of Our Lady. Here are six modern examples coming from the late 19th and early 20th centuries coming out of Northern Europe. Dutch, 1930-1936. Made by the Missionary Sisters of the Precious Blood. As a point of interest, much attention is often given to black vestments that include images of the dead (ie. 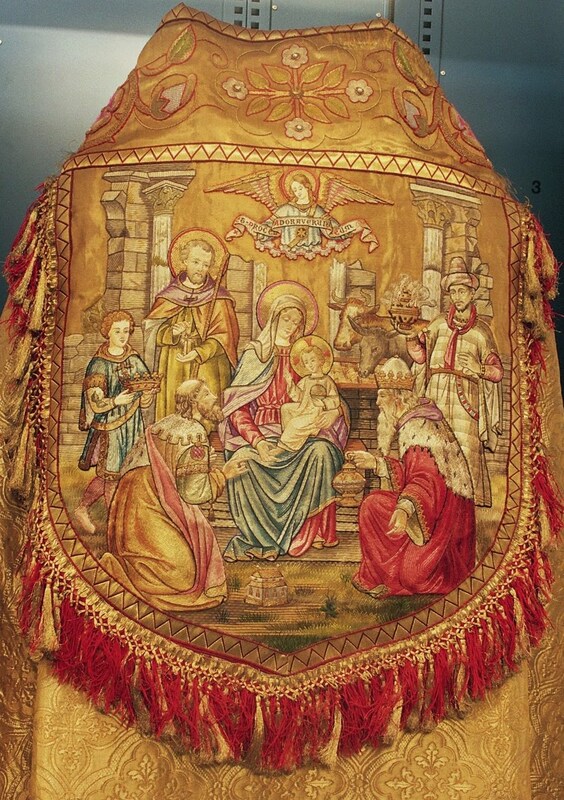 skulls or the Poor Souls in Purgatory) and this particular cope hood likewise includes Purgatorial imagery set within the context of the merits of the Holy Mass. 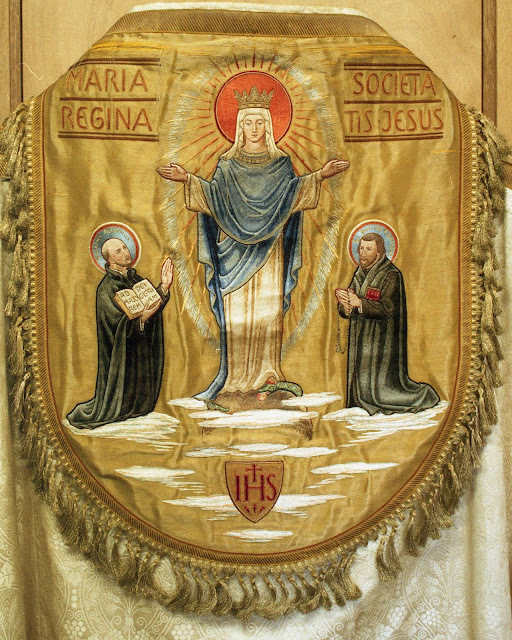 A Marian and Jesuit themed design. This particular example has a slightly Other Modern quality to it. 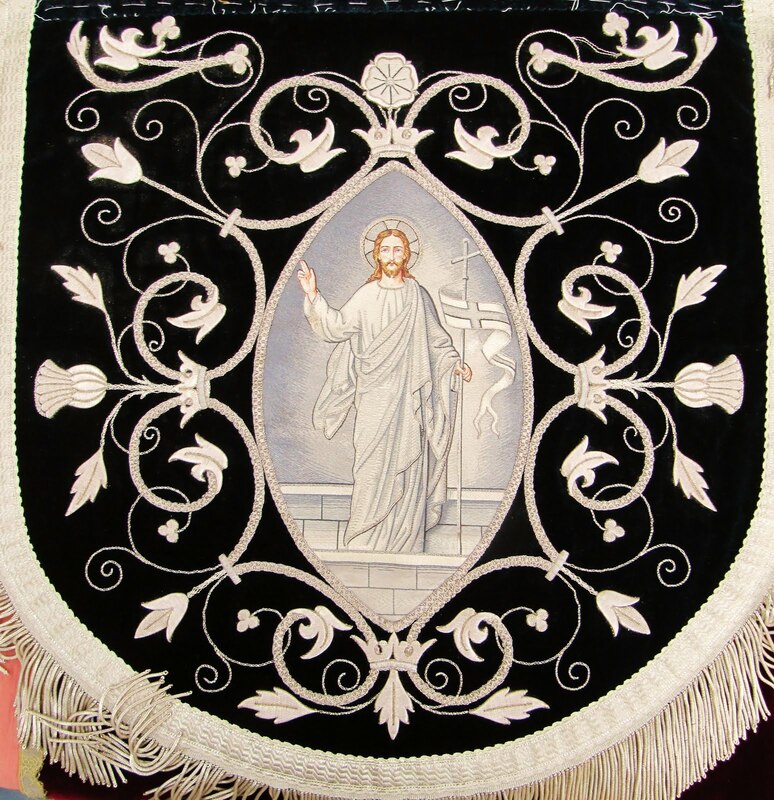 This is an interesting piece insofar as it is the hood from a black cope but one can see how the theme of the Resurrection has been woven into the design. 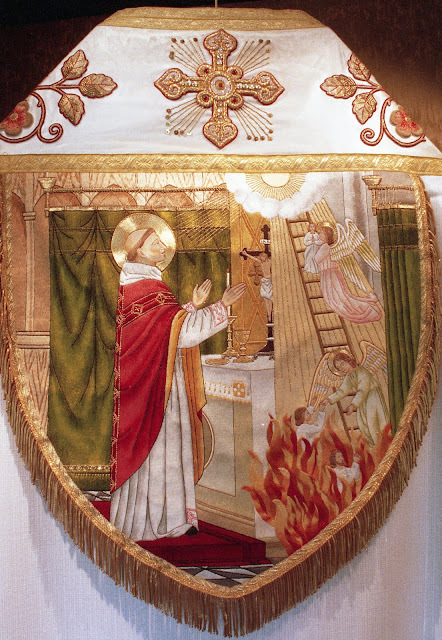 For those who wish to see this aspect of Christian hope explicitly emphasized through the vestments, this is approach is by far more preferable than simply dropping the use of liturgical black as so many have done these past few decades.